Howgate is part of the Scottish Neighbourhood Watch scheme. We currently have over 30 members and welcome anyone who wishes to be part of this. and are encouraged to make contact should they note anything suspicious. on any crimes in the area. There are two visible 'Neighbourhood Watch' signs within the village. This year we will again be selling cut Christmas trees from the Leadburn woodland at the layby off the A703, on Saturday 8th and Saturday 15th December (10am till 3pm) for the usual bargain donation price of £20. See the poster below for details. If you want to get yours early and choose the pick of the bunch, then help us prepare for the following two weekends, as we’ll be on-site on Sunday 2nd December too. So please feel free to come along and join us and select your perfect tree. 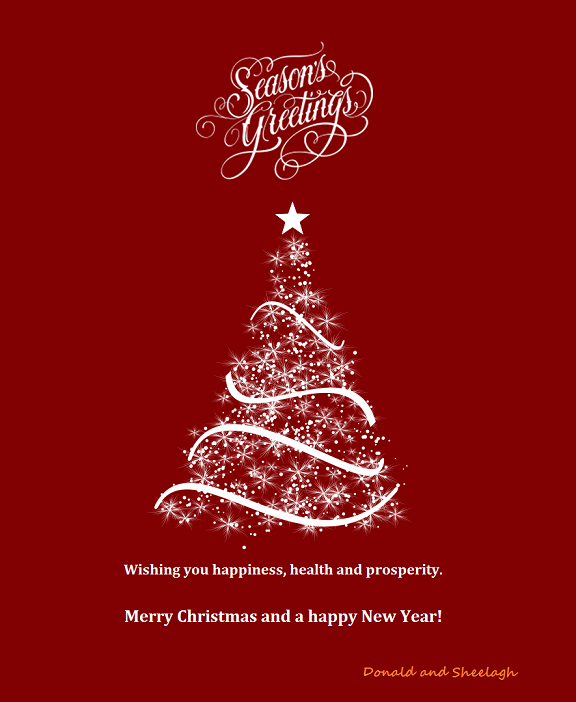 Assuming you are happy with your tree, please let all your friends, neighbours, colleagues know - all funds raised are helping us plant trees, put in paths and pools and generally making this a great site for wildlife and people. NOTE: To report technical problems with this website please notify Donald directly on the above number, or via email. Supper, with wine and dancing. who regularly plays Bal Musette in Paris. Come and enjoy a taste of France ! Community Councils were introduced through the Local Government (Scotland) Act 1973. Part IV, paragraph 51 of the Act states that "...the general purpose of a Community Council shall be to ascertain, co-ordinate and express to the local authorities for its area, and to public authorities, the views of the community which it represents and to take such action in the interests of the community as appears to it to be expedient and practicable." Howgate Community Council currently consists of 7 elected members together with various ex-officio and co-opted members, as required, including our local Councillors. Unlike Councillors, MSP's etc, Community Councillors are elected without the support of any political party: Party politics plays no part in Community Councils. 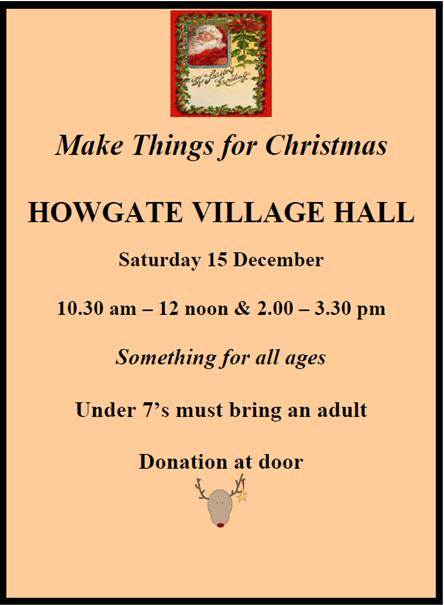 Howgate Community Council, like other Community Councils in Scotland, is a voluntary organisation, made up of people who give time to, and have a genuine interest in, the well-being of the Howgate community. The Community Council members are residents of the area who act on behalf of local people to try and preserve those aspects of the community that they believe are worth retaining whilst also encouraging developments which will benefit the community and ensure that it will continue to thrive. Our primary role is representative - to consult the local community and to make known to public bodies, Midlothian Council in particular, the views of local people on all matters affecting them. These public bodies have a duty to consult the Community Council on how local services are delivered and on other issues affecting our area. Community Councils have the statutory right to be consulted on any planning applications in their areas. We monitor all such applications and, where appropriate, suggest amendments or submit written objections. We are also kept informed about other issues such as licensing applications. We normally meet on the third Thursday of each month, at 7.30pm in Howgate Village Hall, and hold our Annual General Meeting each May. These meetings are open to all local residents. Our typical agenda includes discussion on planning matters; roads and pavements; and Howgate Village Hall Association activities. You can contact any member of the Community Council to discuss relevant issues or ask for a matter to be raised at our meetings. Our meetings are normally attended by a member of Lothian and Borders Police, and one or more of our local Councillors, other officials may also attend as necessary.